Quicken backup is a perfect way to keep your financial data safe and secure. Intuit Quicken is a financial and accounting program. 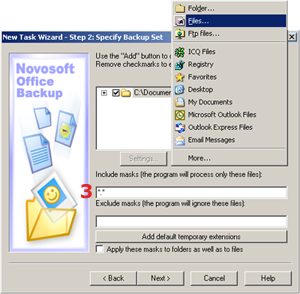 Quicken files are used to create and manage accounting records. 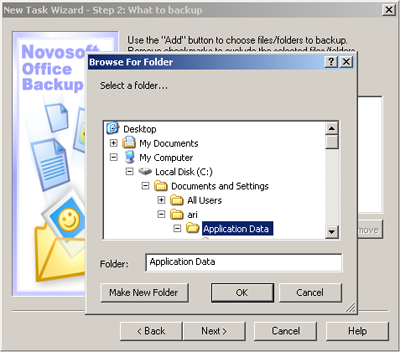 How to back up Quicken files? or C:\Program Files\Intuit\Quicken for Quicken 2002 and above. 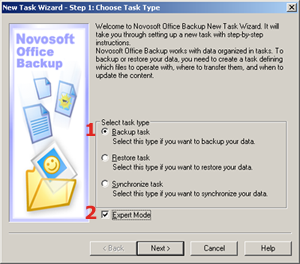 You can also specify Quicken file extensions in Step 2 of the New Task Wizard: What to back up (Expert Mode) and Novosoft Office Backup will find and back up all files automatically. Quicken file extensions are: *.qdf,*.qsd,*.qel,*.qph, and possibly *.npc, *.adb, *.eml, *.hcx, *.qph, *.qtx, *.qmd, *.qdt, *.qif.